So a good poll for Labour arrives, after six months of a progressive downward trend in support that has seen many of the party faithful questioning the direction the party has been taking. The strategy for both Labour and Fine Gael has always been to hold firm in the face of this discontent, in the belief that as the economy improves, disillusioned and lost supporters will return. The problem was that this required the economy to improve, which has taken perhaps longer than expected. 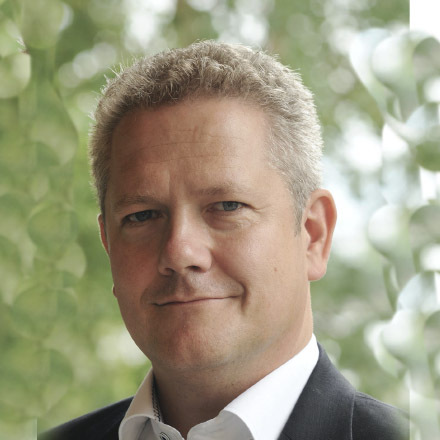 As a result there has been a concern among some, that declines may have gone too far, and that it has taken too long for any positive news to arise. We are now halfway through the lifetime of this government, and finally good news has helped Labour’s cause. Consumer confidence is on the rise and it appears that the exit from the bailout has finally started, what the party hope will be a gradual improvement in fortunes. This poll sees Labour improve its share of the first preference vote by 3%, leaving them with a 12% share, a level not seen since June. Whether the halo effect of the exit will continue to benefit the party in the long term is yet to be seen. The real positive however that party strategist will take from this poll, is that with positive news and better economic conditions, there is evidence that the party can entice lost voters back to support it. For the government partners the story is similar. 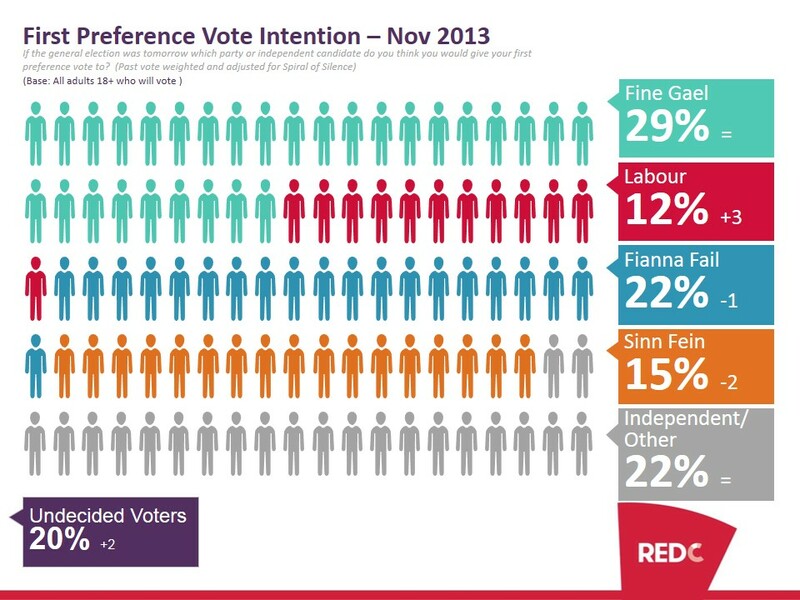 While Fine Gael remain steady in terms of first preference support in this poll when compared to a month ago, this misses the fact that the party had seen a decline mid way through the month in a comparable Paddy Power poll following poor coverage with regard to the property tax. As such they too appear to have bounced back very quickly from that fall, regaining the 4% loss seen just two weeks ago. The evidence of a correlation between positive news and gains for the government parties, comes from the public’s response to the exit from the bailout announced in the past week. 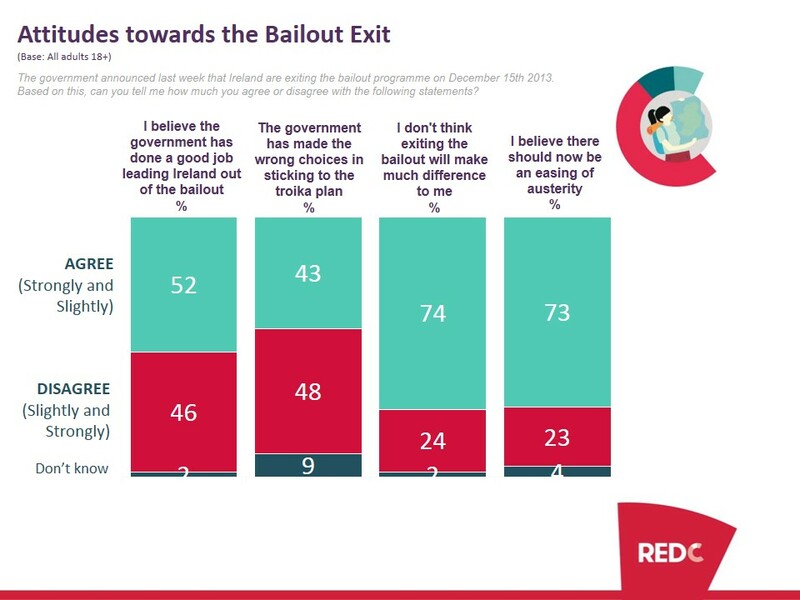 Over half of all voters questioned (52%) agree that the government has done a good job in leading Ireland out of the bailout. Initially this may not seem like a particularly strong result, but when put in context of the fact that 41% of the public currently suggest they would vote for the government parties if there were an election tomorrow, it becomes it far more relevant. It suggests that there are at least 11% of voters, who are prepared to concede the government has done a good job, but who as yet are not prepared to vote for them. In fact the number is even higher than this, as not every Fine Gael (80%) and Labour (71%) supporter think they have done a good job! At the last General Election, the government parties secured 55% of the first preference vote. Today’s tacit support for government parties with regard to the bailout exits, suggest there is a pool of available voters to win back, that could see them return to levels close to that achieved at the last election. Of course, at this stage it doesn’t necessary mean that these people can be persuaded to vote for either Fine Gael or Labour; but it certainly means they would “consider” doing so. There is however further evidence that suggests at least some of this support could be turned into votes. A quarter of those that suggest the government parties have done a good job but don’t currently support them, voted for Fine Gael and Labour at the last election. This equates to 12% of all likely voters! A significant immediate target for both parties to win back. As well as these immediate targets for win back, quite a large proportion of those that are undecided also give them credit for exiting the bailout. In fact half of all undecided voters suggest that the government has done a good job. All in all then a positive poll for government parties, both in terms of immediate gains, and perhaps more importantly that it provides clear evidence of the opportunity to win support that was lost during the difficult first for two and a half years of this government.